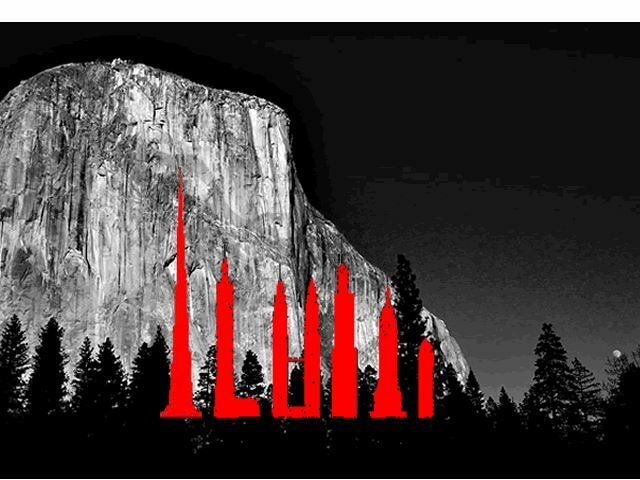 El Cap Scale Comparison w/ famous landmarks. 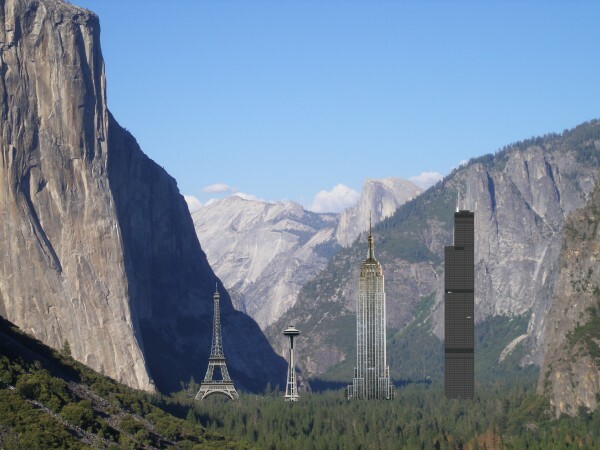 El Cap scale comparison with well known vertical icons. Measurements are to spire tips. 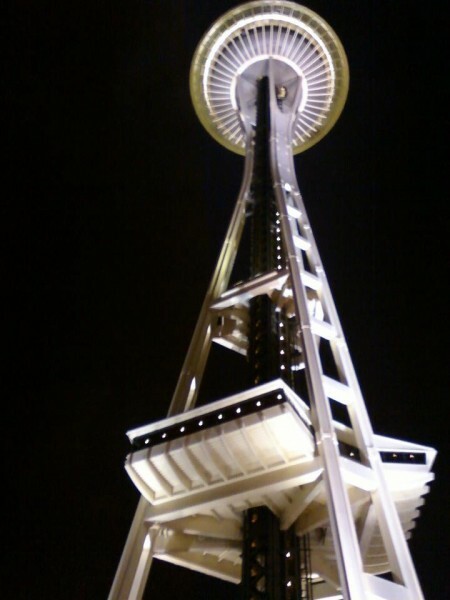 Eiffel Tower (1,060'), Space Needle (605'), Empire State Building (1,454') and the Sears/Willis Tower (1,729'). Over the years I have often found it difficult to explain the scale of yosemite valley and el cap. The empire state building or the sears tower is usually the tallest thing most americans have seen. The amazing part is how small they still look in volume next to the big stone. I couldn't find a good size comparison so I whipped this up in photoshop, scaling each against the height of the nose and taking the fairly tall trees on the valley floor into account. If this indeed hasn't been done before I'm considering adding it to the el cap wikipedia page. I hope you all appreciate it! Can you put burj khalifa in there? 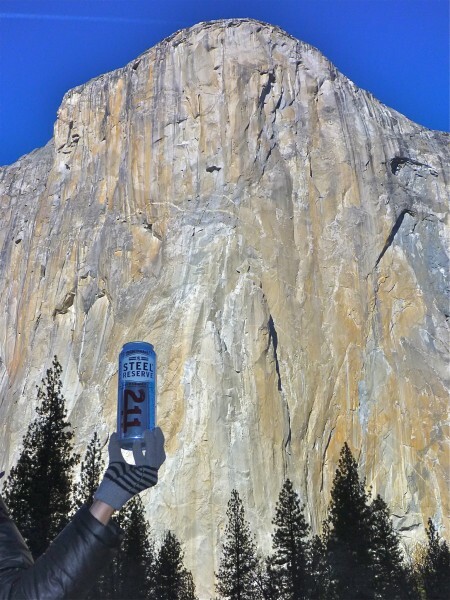 The wild thing is that building is A almost as tall as el cap! The Burj Khalifa is on the list for the next version! I didn't put the it in this one because it doesnt hit home like the empire state building does. That is an awesome photo--thanks! Cool thread. It's strange how El Cap just disappears when you are on it or under it. 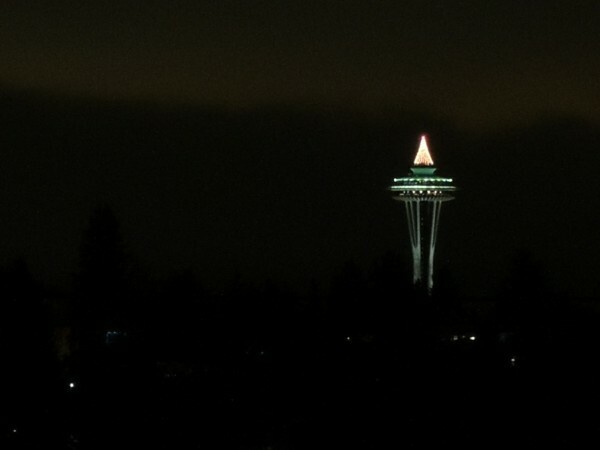 Here's looking up the 605' of Space Needle and a Merry Christmas Needle below that.